Over the past dozen years or so, I’ve had many offers to do a comedy album and have always refused, because of one primary reason - I don’t want to do “just another” comedy album. If I ever would do an album, I wanted mine to be more than just a recording of a live performance. It would have to be something special, different - something that had never been done before by anyone. So, either I’d think of a unique idea for a comedy album or would forget it. Well, for all these years, I’ve forgotten it, because I’ve never hit on that special idea, but my personal manager, Steve Reidman, recently did. He suggested that I do a combination of dramatized excerpts from my book of autobiographical anecdotes, Soft Pretzels With Mustard, along with correlated routines from live stage performances. We would use sound effects, actors and even get my Mom and Dad to play themselves. I thought the idea was terrific and so did MCA Record Company. I went to Taz Records in Halifax this weekend (new location!) 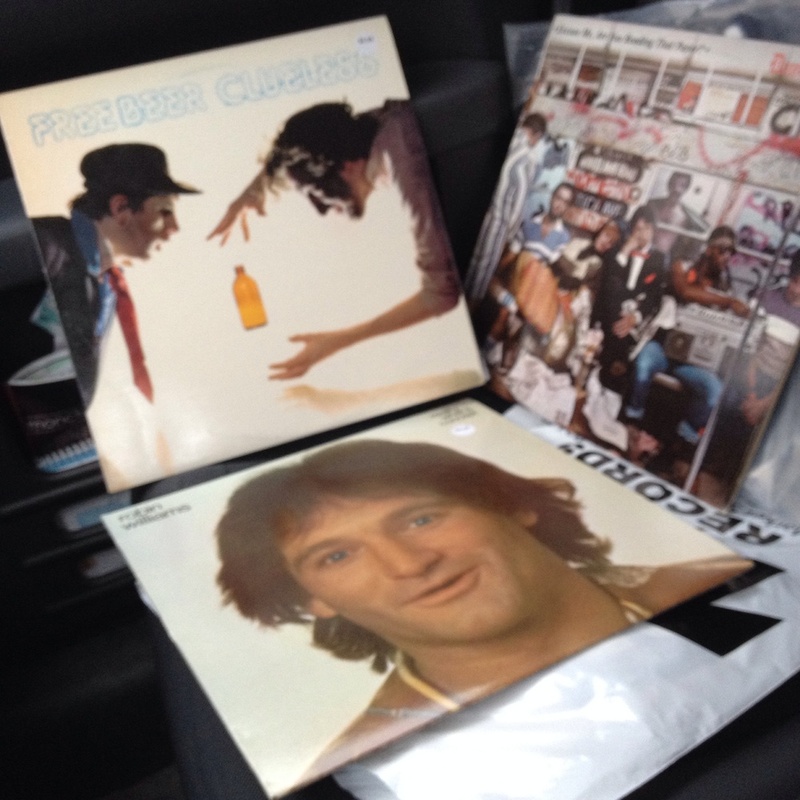 and got some comedy LPs. I'm not a vinyl Luddite, but some of these things have yet to be digitized and, even for those that have, liner notes and the like are missing. That's Free Beer's Clueless at top left: Free Beer was the duo comprising Lorne Elliott of, among other things, CBC's Madly Off In All Directions and Kevin "Buddy Wasisname" Blackmore. Below is Robin Williams's Reality... What a Concept, which won the Grammy in 1980. But I'm most intrigued by David Brenner's Excuse Me, Are You Reading That Paper? (1983). The quote to the left is from the liner notes. Perhaps with his recent passing people are remembering how big a comedian David Brenner was in the 1970s and early 1980s: he was one of the hippest around and a favourite of Carson. His early success on television might have meant that he never felt impelled to do an album for reputation cultivation. So the studied nonchalance towards the LP is perhaps justified. But this is different: this album is a deliberate tie-in (promotional vehicle?) for his book, blending studio and live performance. One could compare this to George Carlin's A Place for My Stuff (1981), the only Carlin album to feature studio pieces, but that one wasn't intentionally of a theme. Both Carlin and Brenner were well into their careers, and the early eighties was seeing the cable special and, very soon thereafter, home video as the emerging stand-up media. So there was experimentation with the form, particularly from the older generation reclaiming relevance. In the book I talk about Carlin extensively, using him as the prime illustration of the shift from the LP to the HBO special: I also talk about comedian's books and their relation to live performances. 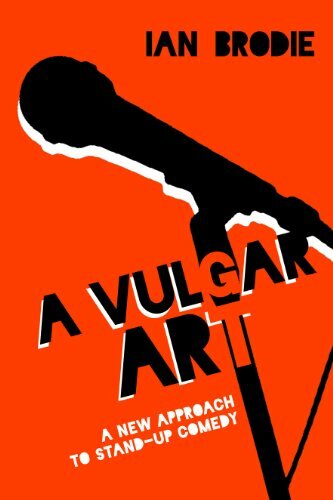 (I have an idea for an entire book on comedian writing and, particularly, memoir: what do you think?) I'm looking forward to listening to this record and putting it into some kind of context. Plus: Brenner was funny as balls. Let's not nerd this up.